We had Liam's volleyball tournament Saturday and it was so much fun! 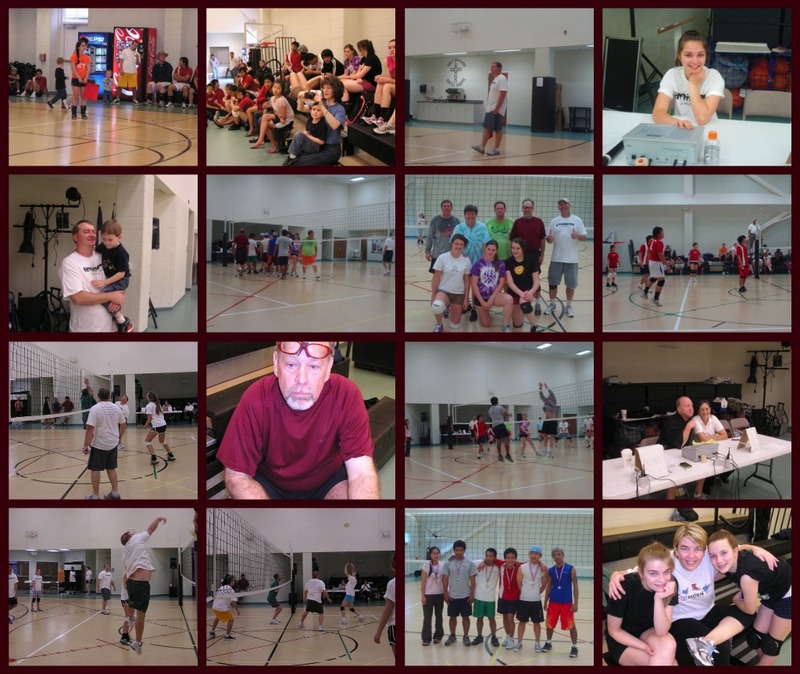 We had such a great turnout with 8 co-ed teams ranging in ages from 12 to 60! We couldn't have pulled this off without the help of some amazing people who not only volunteered their time but went out of their way to make sure that everything would be in place so it all would run smoothly. Thanks go to Brandi for getting the awesome medals and for getting the referees (who volunteered their Saturday) to make our tournament official! Thanks to Jen and Hannah for running the concession stand, getting the food, and bringing the monster cookies. Thanks to Darryl for keeping score, setting up, emceeing, and praying for it all. And a big thanks to Mike who got the volleyball rolling to get this tournament set up for Liam in the first place. To the meetings, phone calls, planning and coordinating...we couldn't have done it with out you! Team Liam came in fourth, which I was bummed about because I really wanted one of the cool medals with Liam's name on it. But we really had such a great time with everyone and couldn't have asked for a better group of people to play with! Shawn brought Liam later in the afternoon so people could meet our little miracle. I had been asked to speak that morning before the start to explain a bit about him and what we are doing so it was great for people who hadn't seen him yet be able to put a face to his name. Liam enjoyed watching the volleyball and hearing the whistle and giggled at getting attention from everyone. By the end of the day after all the donations were in we had raised $1500 for Liam's treatment fund! A big thanks again to everyone involved. From the people who came just to watch, who donated, who bought tees, who bought food and all who played, we sincerely thank you. It was such a blast. Let's do it again!